Bill Weld to challenge President Donald Trump for Republican presidential nomination. Former Massachusetts Gov. Bill Weld officially announced Monday that he would be entering the race for president in 2020, becoming the first Republican to challenge President Donald Trump. "Ours is a nation built on courage, resilience, and independence. 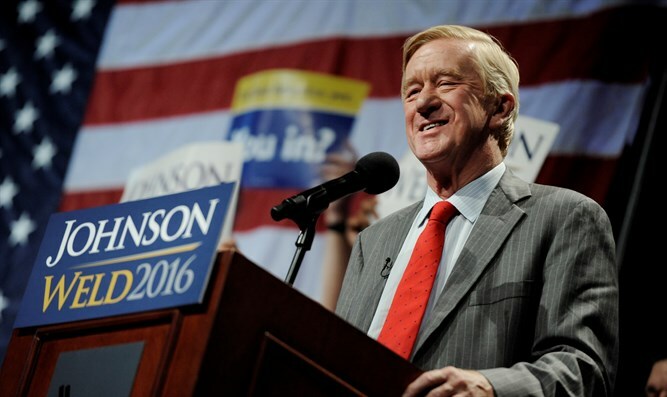 In these times of great political strife, when both major parties are entrenched in their 'win at all cost' battles, the voices of the American people are being ignored and our nation is suffering," Weld, who had previously formed an exploratory committee, said in a statement quoted by CNN. "It is time for patriotic men and women across our great nation to stand and plant a flag. It is time to return to the principles of Lincoln -- equality, dignity, and opportunity for all. There is no greater cause on earth than to preserve what truly makes America great. I am ready to lead that fight," he added. Weld will face an uphill battle in his efforts to take down Trump, as history shows that presidents generally only face serious primary challenges when their approval rating within their own party is at 75% or below. Weld served as a two-term Massachusetts governor during the early 1990s and later lost the 1996 US Senate race in Massachusetts to John Kerry. He later moved to New York and unsuccessfully sought the Republican nomination for governor in 2005. Weld was Mitt Romney's co-chair in New York when Romney ran for president in 2008. After Romney dropped out, Weld ended up endorsing then-Democratic nominee Barack Obama for president over the GOP nominee, Sen. John McCain.